Lovely day for a bicycle tour of Gas Transmission and Hazardous Liquid Pipelines. Another project of the beloved Iowa Neo-Mountaineers. Stay tuned for more local adventures to come. Halloween approaches, and if you still don’t have a costume idea here are a couple of suggestions. 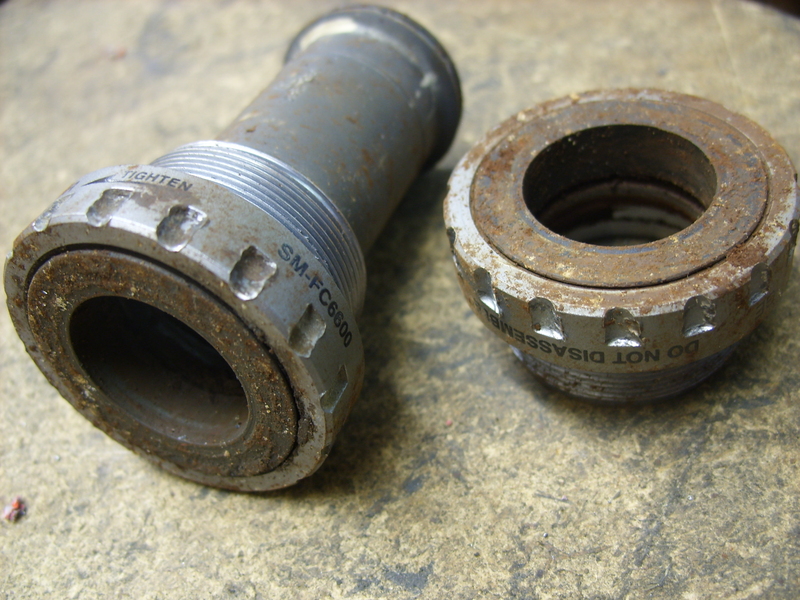 A 2011 Almanzo bottom bracket will make a bike mechanic shudder. 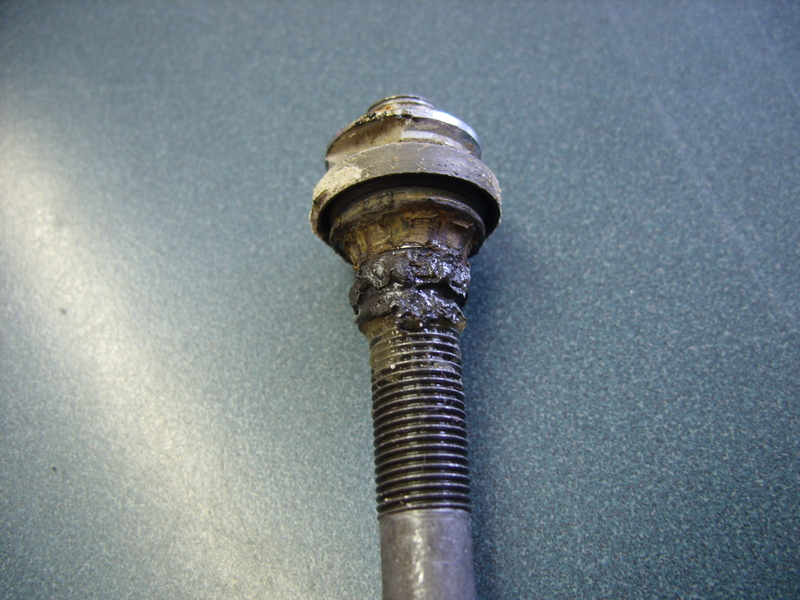 Or a post-Almanzo axle and cone would work just as well. If you don’t want to scare people, but make them laugh? Try dressing up as the town in Wisconsin that is considering requiring a permit to take a bike ride or even go for a walk! Funny? Scary? Sadly, both. Why? Because now we are Chris King dealers, and Chris has a thing for the decimal places. Just like us! Check out these spokes we had cut for our latest wheelbuild. No 297’s or 299’s for us, nope – too sloppy. We rock the 297.43 and 299.17 that the universal laws dictate we should. So if you need a quality headset or hub or bottom bracket or espresso tamper, or some weird length spokes that nobody has in stock, feel free to come and see us. 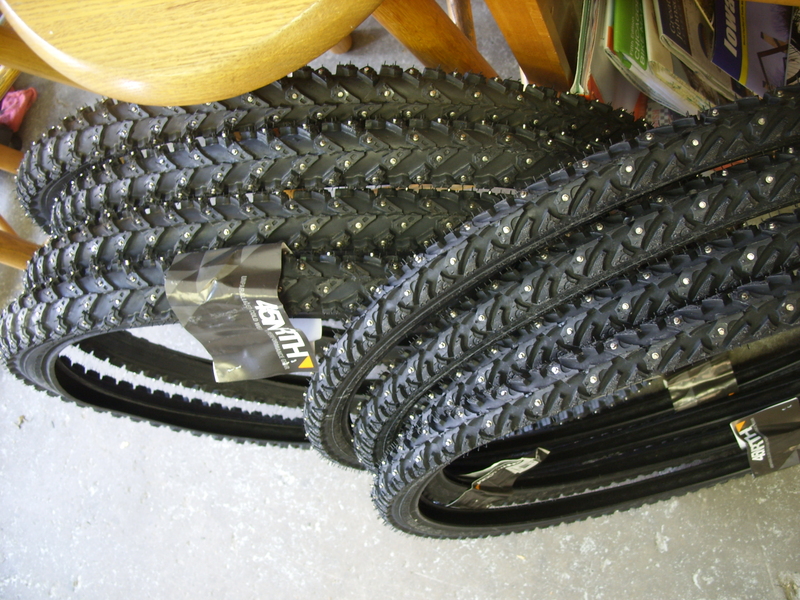 We got our second delivery of new studded tires today. 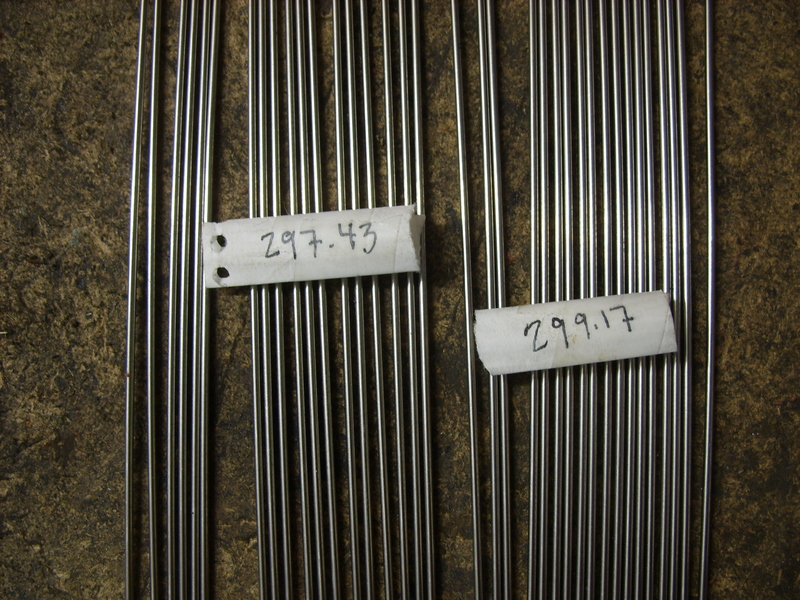 45North is the brand, we have the 700c Polara and 26″ Arcwelder. 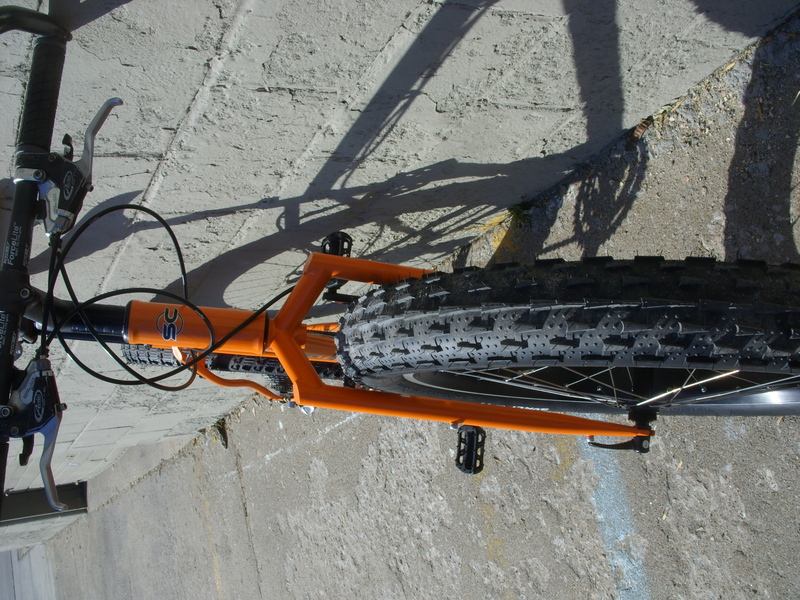 We still have a pair of Kenda 26″ and a pair of Nokian 700c plus one lonely Nokian 26″ Mount N Ground. More Nokians to come, but if you are looking to get a jump on winter we can help. 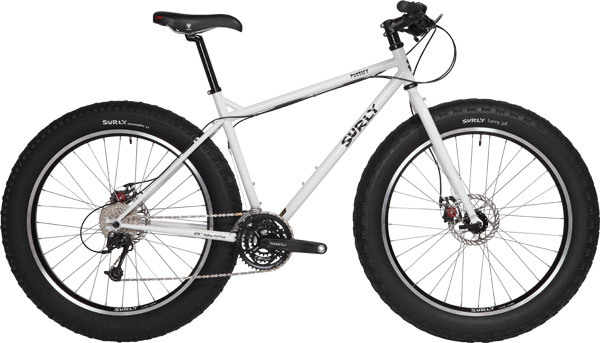 If you prefer to squash the snow into submission instead of poking it with sharp carbide bits we have you covered, with the Surly Pugsley. 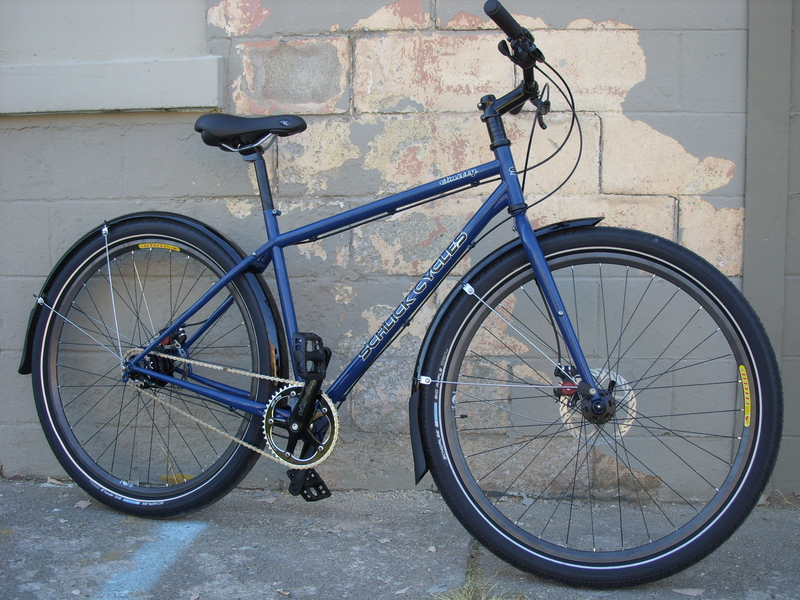 We have an 18″ complete here for test riding and general ogling. 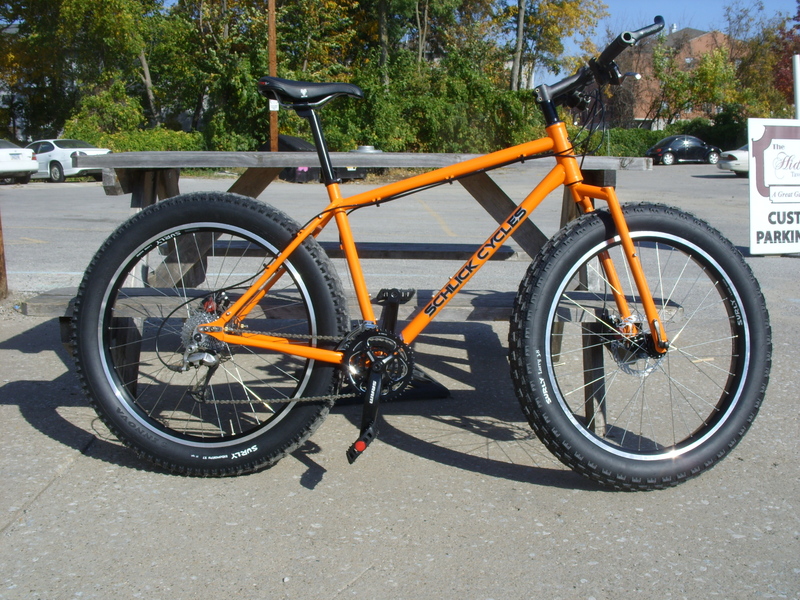 Or there is the Schlick Cycles Northpaw. 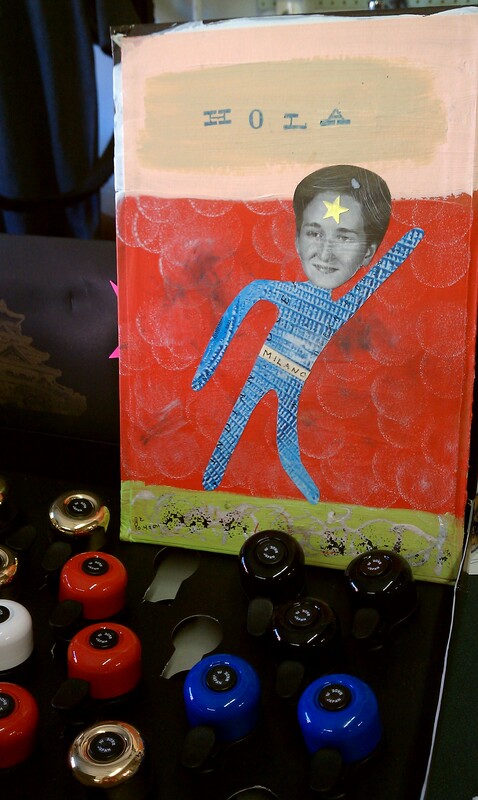 We built up our first last week and it was released into the wild over the weekend. Hard to miss so if you see it around don’t be too shy to say hi! Built just over the next hill by the man with the steadiest hands, the grizzliest of the West Branch Bears – Tom Teesdale! Look out winter, here we come. A happy owner of a new Bianchi Milano also happens to be an artist, who also happened to make something especially for us here at 30¢. 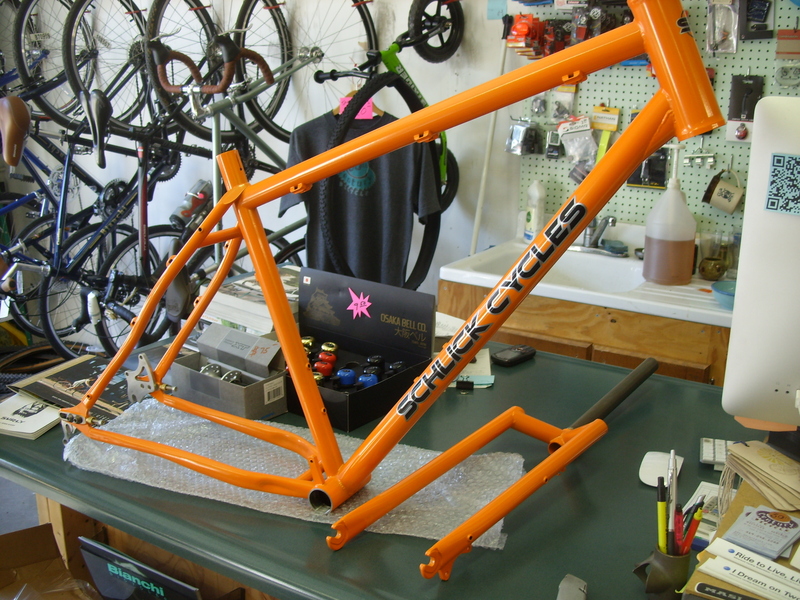 We have been getting in some bikes from Schlick Cycles. We built this Smitty up for a customer to be an ultimate commuter bike. The TET built frameset is completed with a solid batch of components highlighted by the Alfine 8 IGH rear wheel and the Schwalbe Big Apple 29’er tires. They ain’t made the pothole this bike can’t handle! Just in, we got our first Northpaw yesterday and should have it built up this week. 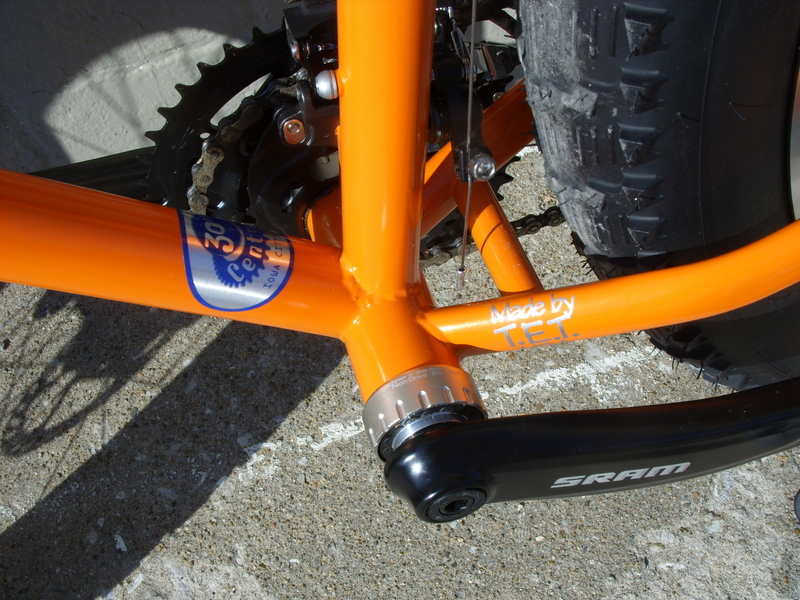 Under 4 pounds for the size large frame, look for this one on top of a snowdrift near you this winter. 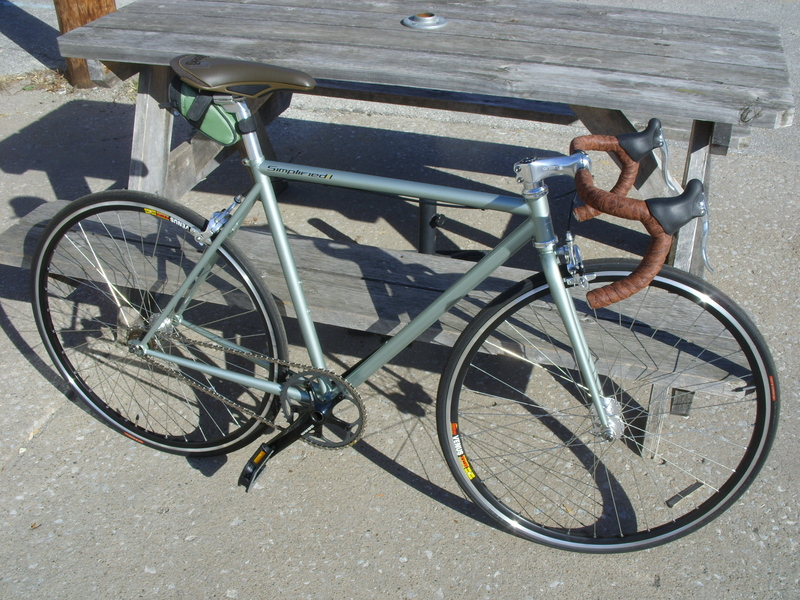 Also currently in the shop from Schlick we have their snappy single speed road option, Simplified.